I caught a nice article on urban chickens and sustainability in the Sustainable Life section of the Lake Oswego Review (among other places). dogs generally need store-bought food whereas chickens will consume vegetable scraps and bugs. “I think Portland is the perfect incubator for this sort of thing,” says Glenn Nardelli, who works at Pistils Nursery in North Portland and keeps three chickens behind his house in the nearby Overlook neighborhood. Pistils sells supplies for chicken farmers and holds workshops for people considering raising chickens. The workshops have been steadily growing in popularity. “People are really sustainability-minded here,” Nardelli says. 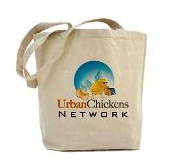 But are urban chickens really sustainable? They definitely are as producers of food, say West and others, because local production is a critical component of sustainability. “In terms of egg harvesting, it doesn’t get any closer than walking out your back door,” Nardelli says. Not only do home-produced eggs mean Nardelli doesn’t have to expend gasoline on a trip to the supermarket, but the eggs don’t need to be trucked to the supermarket from a factory farm, where they likely would have been raised with hormones, antibiotics and pesticides. Portland code allows city residents to keep up to three chickens without needing a permit. No roosters – with their morning wake-up calls – are allowed. But hens produce eggs without roosters. So why is it a city like Portland can have so many urban chickens with so little uproar while smaller cities are struggling at the mere thought allowing a clucking hen in their city limits? It's because of Portland's unique culture, and the fact that it's a larger city. In a more tightly-packed urban area (whether people care about sustainability or not), we're used to being good neighbors when it comes to gardens and other practices. Having grown up in a smaller city like the ones having to battle over it, I'd say that they are so against chickens because they are more suburban. Suburbanites want the appearance of rural-type living (no dense crowded cities for them!) but without any of the real rural attributes (like chickens). In other words, suburban populations, despite having more space, are actually more touchy about a few backyard chickens. I don't raise chickens in my urban condo's "back yard" but I'm listening to a rooster crow right now. Seems like this is a good spot to put all the urban chicken news I've been saving for you. Here's the Portland Tribune version which is the mother ship of the Lake Oswego Review and will sometimes have a more complete version of the article. In a related bit of news, here's a link to the Growing Gardens upcoming schedule of classes, workshops, and events in Portland which includes Urban Chickens as well as how to grow organic urban gardens (and how to cook the food harvested as well). The schedule includes the date for their annual Tour De Coups. This is a great organization which installs raised bed gardens with all the needed supplies (including soil and seeds), or patio pots if there is no yard, along with 3 years of support for low income residents so good food is not an elitist out-of-reach endeavor. From what I can tell the fees from the classes help pay for what they do (though I'm not positive here as they have a sliding scale). Meanwhile I saw a note in Mother Earth News about chickens in Worthington, Ohio which led me to the column in their Columbus Dispatch news. There's also a great article in Mother Earth News about how everyone can raise chickens. Finally there's a piece in Edible San Francisco on raising pastured layers and boilers and the issues growers face. This article helps illuminate why there are such cost differences -- and also why the National Animal Identification (NAIS) would be such a burden (as well as a generally bad idea while being a boon to big agribusiness as they would only have to get one tag per hatching while people like you would need one tag per bird; and yes it would apply to you and every other urban chicken farmer so this might be something good for you to blog about...). Now, to another point, I can't remember where I read it but once I did it all made sense. These chicken laws are not about the urban/rural divide. Otherwise there might not be so many large cities that don't seem to have such an issue with it. I did always wonder why NYC is okay with chickens but not the cities around it. Well, it's an immigrant thing. It's not so much the chickens that the laws were meant to keep out of town but the people who owned them. I think a lot of people have lost touch with the whys (and in many ways that's a good thing) and don't even understand the importance of the laws to them (or I hope anyway).